First of all, we need to understand these two terms. Both the OpenVZvs. KVM are virtualization technologies used in Linux operating systems. OpenVZ stands for open Virtuozzo, an operating system level virtualization technology for Linux. OpenVZ is container-based. Meaning that it runs many operating systems in isolated Linux containers. These containers are known as virtual private servers (VPS) or virtual environments (VE). Each container acts as a standalone server. They each can be rebooted on an independent basis. They also have root access, memory processes, and other components. KVM, kernel-based virtual machine, is another virtualization technology. It consists of loadable kernel modules. It provides core virtualization infrastructure and a processor specific module. One for Intel and the other for AMD. Using KVM, you can run many virtual machines on the same system. But the machines must be running a unmodified version of Linux or Windows. When choosing a virtual machine, you would want the best. When given a choice between OpenVZ and KVM here are a few things you should consider. The whole point of virtualization is to be able to host many operating systems. And this hosting should be on a single running computer. So one should consider this when choosing between OpenVZ and KVM. This is because OpenVZ can only host Linux operating systems. While KVM can run Linux, Windows, and other custom operating systems. This is due to the fact that OpenVZ uses single patched Linux kernel while KVM can run different kernels. Memory is a limited resource in the world of computing. So it should be managed as well as possible. In OpenVZ, memory allocation is soft. This means that excess memory from one virtual environment can be used by another. Unlike OpenVZ, memory allocation in KVM is static. This is to mean that once allocated it becomes fixed and can’t be reallocated. OpenVZ is cheaper than KVM. This is because there are oversold. Overselling is when hosting companies put too many containers into one system. 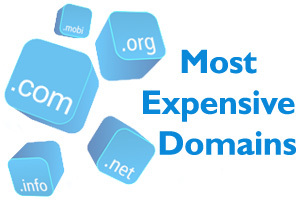 This reduces the cost of hosting. But KVM work better when isolated with virtual hardware. These include graphics adapters, network cards, and guaranteed resources. It increases reliability and customizability. Data encryption is vital to secure data from outside threats. KVM provides full disk encryption hence increase in security of your data. This is not the same in OpenVZ where disk encryption is not full but partial. This can be a disadvantage towards the security of your data. Failures are something one should consider when choosing a virtual machine. Especially when running vital software in a virtual machine. A failure can lead to data loss or corruption. In OpenVZ when an error occurs in the kernel and it fails then all containers in the system will fail. This is because they are all based on a single kernel. In a KVM a kernel failure will not lead to the total failure of all virtual environments. KVM has better performance than OpenVZ. This is because KVM requires that each VPS must have its own kernel. Whereas in OpenKZ the VPS share a single kernel, this reduces performance. Over-committed servers will have a higher performance loss as compared to others. One of the main advantages of OpenVZ is the efficient use of resources. There are two types of resources in OpenVZ, burst and dedicated resources. Dedicated resources are the resource which the VPS is guaranteed to receive. While burst resources are those that have not been used in the system and are available to the VPS. This effective use of resources makes sure none is wasted. But with KVM each virtual machine has the private virtualized hardware. That may include a network card, hard disk, graphics card and others. This is something important to consider when choosing a virtual technology. It is also a critical point when comparing OpenVZ or KVM. OpenVZ is not processor dependent and can be installed on any computer with much ease. This installation can be done with any processor. While KVM is processor specific, and different software is provided. Virtual extensions for Intel and AMD are available; they are Intel-VT and AMD-V. Also, processor-specific modules are available. These are kvm-intel.ko and kvm-amd.ko. These modules and extensions are required to run KVM. By default, OpenVZ restricts access to physical devices. But an administrator can enable access to such devices. This may also include PCI device, USB ports, and others. In a KVM the KPS have access to virtual hardware. As stated earlier OpenVZ allocates memory to each VPS. Once the VPS uses up the allocated memory, the remaining becomes available to other users. This is not a problem when running small applications. But when running large applications which are resource intensive, it becomes an issue. In KVM you can set a least and greatest value to the resources. This allows an application to use the resources it requires. So, in summary, OpenVZ is suitable for small less resource intensive applications. While KVM can run larger and more resource intensive applications. 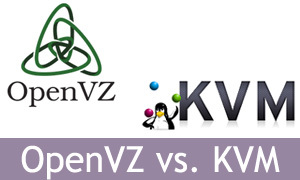 As we can see both OpenVZ and KVM have their own advantages and disadvantages. In summary, if you want customizability, security, and isolation then choose KVM. But if you want affordability and efficient resource management then go for OpenKZ. It all boils down to what you want in a virtual machine. Therefore, OpenVZ vs KVM should not be a difficult topic as everything has been simplified.